"Be a man. Eat the right ramen!" My next ramen hunt took me to Ramen Champion in Iluma, across Bugis Mall, where 6 top ramen stalls from Japan compete to win “The Ultimate Ramen Champion 2011” title. 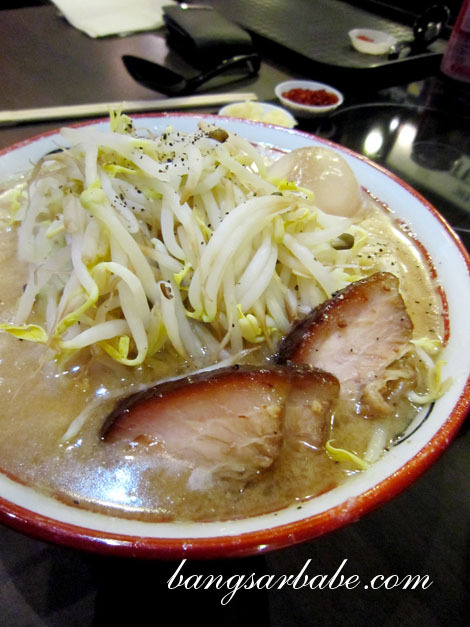 Each ramen is exceptional in its own way, and has won many awards in Japan. You will be given a card at the entrance (marche-style) and pay at the exit when you leave. 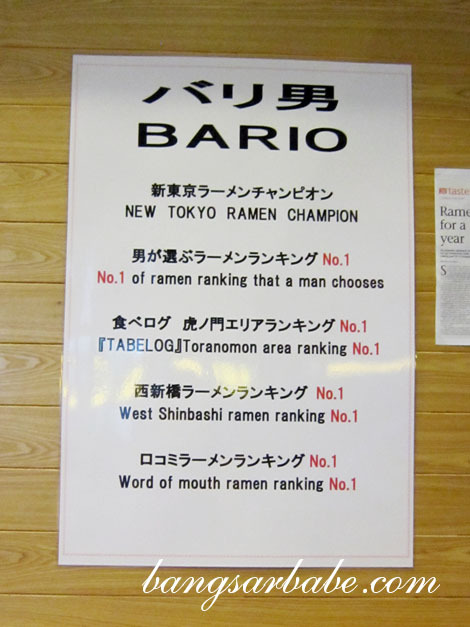 I managed to try all the six ramen stalls in two visits *champion*, but will start with Bario first. 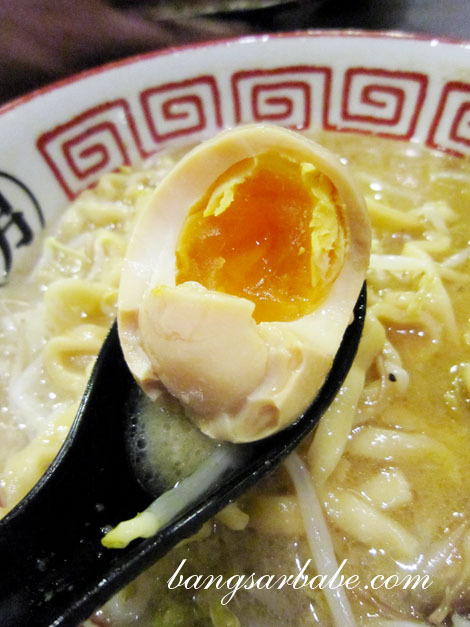 Bario serves Jiro-style ramen and is proclaimed by Guardian UK as one of the 50 best things to eat in the world. The name “Bario” means big and strong in Japanese, and the bowl of ramen was every bit as manly – from the ingredients to portion and presentation. Unlike the ramen I tried at Yoshimaru and Ippudo, Bario uses Futomen (thick ramen) to keep to the manly theme. Made from bread flour, the Futomen had a chewy texture. If you like your ramen noodles delicate and thin, you might not enjoy this as much; rif and I liked it. The tonkotsu broth is also slightly different as shoyu is added. Made with pork bones and seven different spices, the broth was thick and very rich from the essence and suspended fat of the pork. It also had a strong garlicky flavour – which rif enjoyed – and a smoky sweet aroma from the caramelized fats. As I mentioned above, portion was manly. There were plenty of vegetables, thick chunks of chashu and a mountain of noodles. 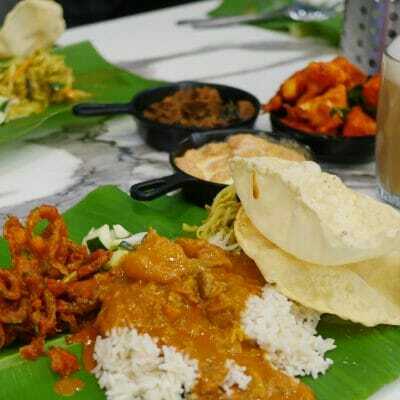 Perfect for a big eater like me! 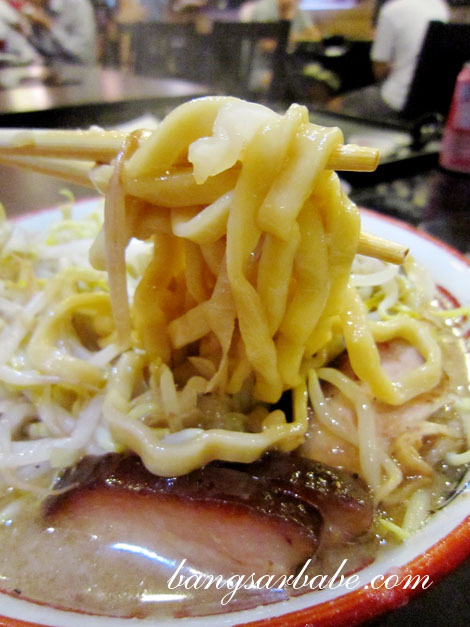 The beansprouts gave the noodles a crunchy contrast and helped cut through the extreme porkiness of the broth. The chashu was tender and saltish with a layer of melt-in-the-mouth fat. My only gripe with this was the egg, which was slightly overcooked. 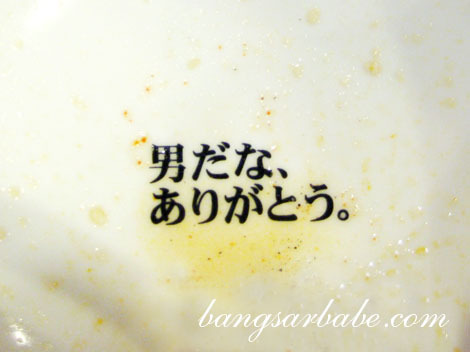 If you can finish the whole bowl including the soup, you will sees this message with says, “Thank you, you are a man.” Yeah man…I’m THE man. "Thank you, you're a man." 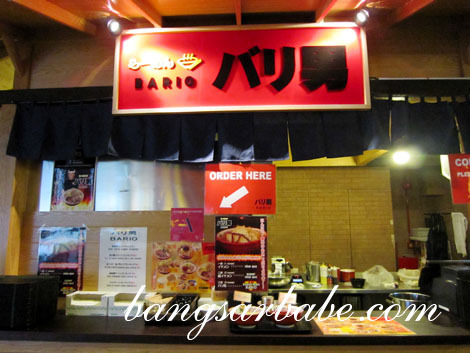 I liked Bario ramen for its heftiness but finishing a whole bowl was quite difficult, even for me. It was very, very rich. Bario ramen is unconventional – you either love it or hate it. One thing for sure: it goes STRAIGHT to the hips. There’s a lot of pork, a lot of beansprouts, a lot of garlic and plenty of vigour. 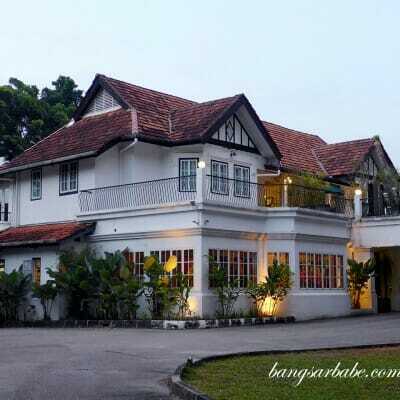 *This competition will last till end of June 2012. Verdict: Extremely porky and garlicky broth, generous portions and chewy noodles. Like a (tasty) heart attack in a bowl. I like noodles that are a little bit chewy. 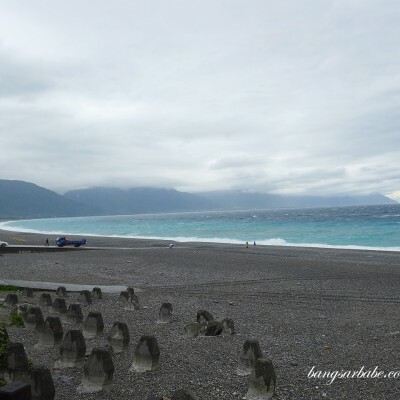 Must try this spot. haha. 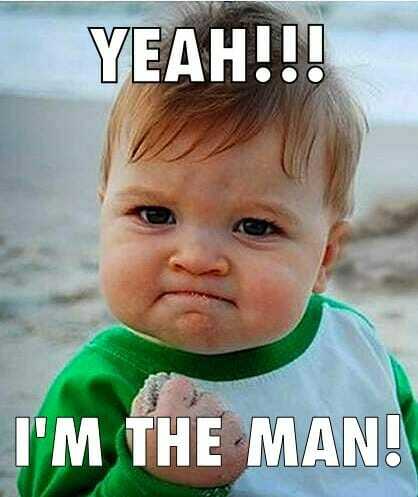 you are the man!!!! Once you read about the other 5 ramen I tried, I am monster! Rofl!! Me too…me too! Have to look for ramen in KL soon! Agree! I love the ramen soup bases in SG. Yummy! !